Abstract: On 18 June, Airwheel made an announcement of new products—A3 and S5. S5 is an upgraded version of the two-wheeled intelligent scooters, whereas A3 is a brand new type of electric scooter. A3 differs from the scooter of other former models in its intelligent nature—APP. Prior to the announcement of A3, all scooters were independent of mobile phone and APP. On 18 June, Airwheel made an announcement of new products—A3 and S5. S5 is an upgraded version of the two-wheeled intelligent scooters, whereas A3 is a brand new type of electric scooter. A3 differs from the scooter of other former models in its intelligent nature—APP. Prior to the announcement of A3, all scooters were independent of mobile phone and APP. Airwheel offers customers the free APP of A3 two wheel self-balancing electric scooter online. Anyone could download the APP online for nothing. This shows a great convenience and intelligence. Via the APP, the scooter could be connected to the mobile phone. Another important function is to prevent theft. Like the bicycle, once the intelligent self-balancing scooter is left out of the owner’s sight, he have to worry about the theft. If he rides A3, this misgiving will go out of the window. On APP, the owner could locate its scooter on the map. Even though, it is stolen. One could lock it on APP and at once locate it online until the owner finds it. From the perspective of intelligence, A3 2-wheeled electric scooter is a success. Apart from this respect, it is also a success. It invents the sitting-posture riding mode. A3 is equipped with the leather saddle. After a long trip, the rider tend to feel fatigued. 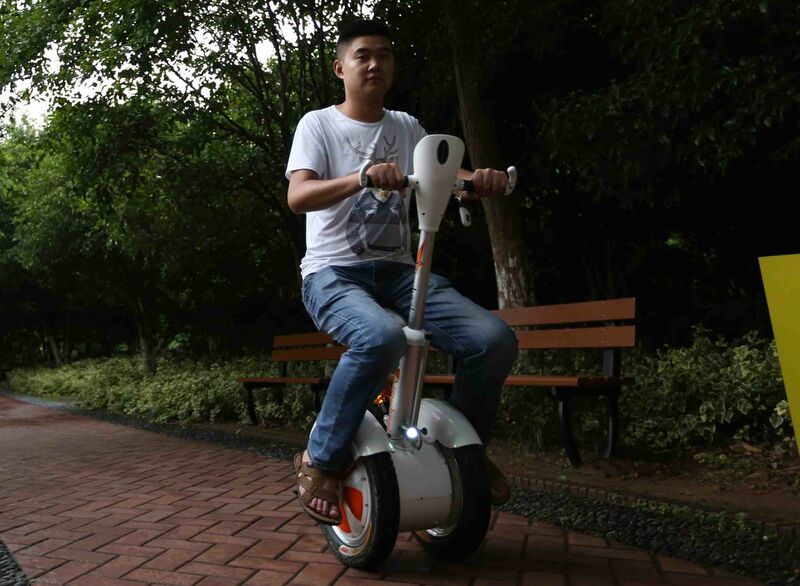 Therefore, Airwheel took notice of this point and made a stride in sitting-posture riding mode. The leather saddle just was formed against the background of this time. If interested in A3, welcome to visit the website.